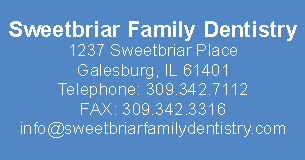 Beth Fahnestock is a registered dental hygienist. She received her degree from Illinois Central College in 1992. She has been with our office since March 2002. Beth’s compassionate nature makes our patients feel well cared for. Outside of the office Beth keeps busy with her husband and two children. She also enjoys outdoor activities such as running and boating.